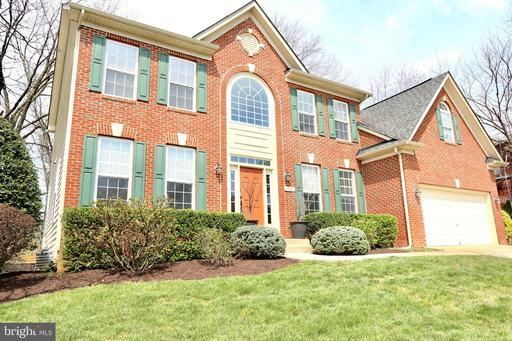 Beautiful two car garage brick front Colonial with close to 4,700 sq. feet near Lake Barcroft! Excellent natural light, hardwood floors on main level, den/study, modern finishes, gourmet kitchen w/ island, pantry, granite counters, and stainless steel appliances. Master suite has his hers walk in closet, luxurious bath w/ soaking tube, numerous built-ins. Lower level fully finished. Large flat spacious corner lot with beautiful oversized deck for great summer entertaining! Free Home Warranty!